The best compliment is a repeat client or a referral! "You were awesome - as usual. Thanks for all your help!" ~David J. 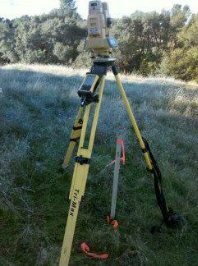 “Area West Engineers, Inc. has always been prompt and very thorough with all of the topographic surveys that they have done for the City of Folsom.” ~Travis S.
Area West Engineers, Inc. is a full service civil engineering and land surveying firm which has been in business since 1974. Area West Engineers, Inc. has services ranging from, but not limited to: preparing and processing easement acquisitions, improvement plans, encroachment permits, pipeline design, hydrology studies, roadway design, right-of-way surveys, topographic surveys and control surveys. Area West Engineers, Inc. is a small company which prides itself on being able to complete jobs on time and under budget, with personalized service.